As you may know, good-quality, full-featured software like Brili is very expensive to develop and maintain. Despite offering a product that we know is helpful, the economics of supply and demand aren’t quite adding up for us yet. It doesn’t help that many apps are free. But most good-quality free apps either advertise to us or sell our data. We believe neither in advertising to young children nor in selling your personal data. Today we announce changes in our plans and pricing. Important Service Announcement: New Brili App is out! As you remember on July 11 we wrote that we had to shut down the service. Since, many things happened. We worked frantically for days and weeks to make sure you can continue to use the service after December 18. Today we are happy to announce Brili Routine 1.6.2 which will work beyond December 18. So please, update your app on all your devices. Stay routinely happy! Amazing News: Brili Service Will Continue! Thanks to our users, we have found a way to upgrade Brili's infrastructure so service can continue beyond December 2018. On December 18th, 2018 Google is shutting down some older infrastructure that is critical to Brili’s operation. We can’t afford to upgrade to the newer infrastructure so this will mean the end of the road for us. Until now though, there hasn't been too much to do with the stars except for parents to decide with their kids what, say, 200 stars are worth, and then when that star count was achieved, parents had to remember to redeem the 200 stars for what was agreed on. Perhaps a sticky note on the fridge recorded the agreement and reminded kids of what they were working towards. We are happy to say rewards have been significantly improved. As kids complete routines, they receive progress prompts to remind them of how close they are to earning the reward. Kids earn the reward by accumulating the number of stars that it's worth. The parent redeems the reward in Parent Mode, which automatically deducts the correct star value. Parents can now manually adjust star balances up or down. Cool, right? Here are the details. The new Parent Mode rewards screen. We have added an area for parents, teachers and caregivers to define and store the rewards they're offering to kids in exchange for stars. 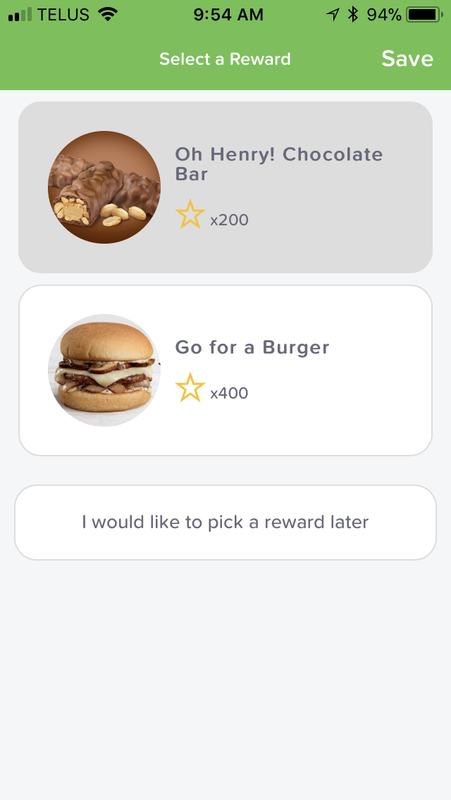 This Rewards screen lets parents add the rewards that kids will be able to choose from. You can add as many as you'd like. You can customize each reward's image, name and star value. We encourage you to set reward values (and task values) in a manner that will encourage your child to keep using Brili beyond the initial novelty phase until a reliable habit is formed. Every child is different, so try small rewards earnable every 3 days or so and then progress to larger, longer-term rewards. IMPORTANT: your child now has to choose a reward you added before they can earn it! This confirms their buy-in and helps them take ownership over the process. This happens in Kid mode as explained below. When there isn't a routine actively running – we didn't want to create distractions! – kids can access an area in Kid Mode that lets them see their current star count and decide which of the rewards that were created in Parent Mode will become their active goal. There's a new "See Rewards" button on Kid Mode screens when there is no routine running. Kids get to choose from all the rewards that have been created in the Parent Mode rewards area. If you have more than one child using Brili, you'll notice they all see the same selection to choose from. Kids can choose from the rewards created by parents and caregivers. Once a reward is selected, kids can see a progress bar showing how far they've come towards earning the reward. Kids see their current progress towards rewards at the start of each routine. At the beginning of each new routine, kids will see their current progress towards the reward. They'll see any stars they already have earned applied towards the reward. Then, at 25%, 50% and 75% of stars required, they'll receive achievement prompts during the routine. Kids are notified at the end of the routine when they've earned a reward, and instructed to ask a parent or caregiver to redeem it. Kids will receive a prompt and get an opportunity to choose a new reward at this time. If they do nothing, Brili assumes they're working towards another instance of the same reward going forward (e.g. another chocolate bar, another trip to the museum, etc.). In cases where you want the reward to be a one-time deal, the reward must be deleted from Parent Mode before the child earns it an additional time. Earning a reward just means that a parent can now "redeem" it in Parent Mode. The stars aren't deducted until that happens. We want parents to be in control of this process so they don't forget to fulfill on the promise. An earned reward cannot be substituted. So in our scenario where a child has 600 stars and enough to earn a 200-star reward 3 times over, there is time to choose a different reward (if the parent has defined others) before the routines are completed. If a first routine is completed, locking in one of the 200-point rewards, there are 400 points left that can be applied to a different reward. The child profile screen in Parent Mode now lets you access each child's progress towards rewards, as well as view and redeem earned rewards. Rewards are redeemed on the Child Profile screen in Parent Mode. When you tap "Redeem" on an earned reward, it will be cleared from the list and the correct star value will be deducted from your child's total star balance. There may be one or more earned rewards to be redeemed. Tap "Redeem" and confirm to clear the earned reward and deduct its star value. Everybody makes mistakes. Maybe your child skipped an activity, or you "redeemed" a reward without fulfilling it and you want to restore the points. Now you can tap the + or - symbol next to your child's current star balance to add or subtract a certain amount of points to the current total. For example, if your child has 100 stars and you tap add, then type in 10 stars, your child's new balance will be 110. 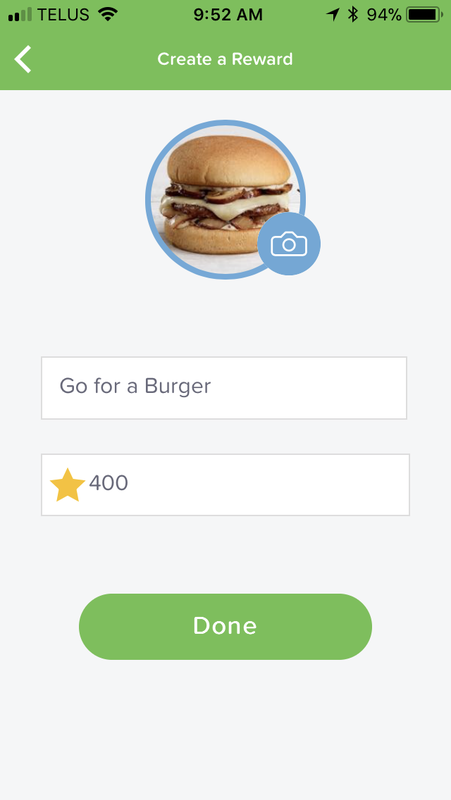 Tap the + or - symbols to add or subtract stars from your child's balance. We've changed our pricing structure again. Here's what it means to new and existing customers. Hopefully we got it right this time! Ontario Centres of Excellence has awarded $250K to the partnership of Brili, University of Toronto, IBM and Ecole Secondaire Publique Omer-Deslauriers to help solve student time management in schools. If you thought Brili was already a learning tool, wait 'til you see what comes next! We're contributing to research into better parenting and child learning through our new partnership with the Semaphore Research Cluster at the University of Toronto. Because science. Now you can control whether stars are awarded on tasks that ran out of time. Ever notice how big customer service comes in the smallest of packages? Last Saturday I witnessed a couple of examples of this - here are the stories.